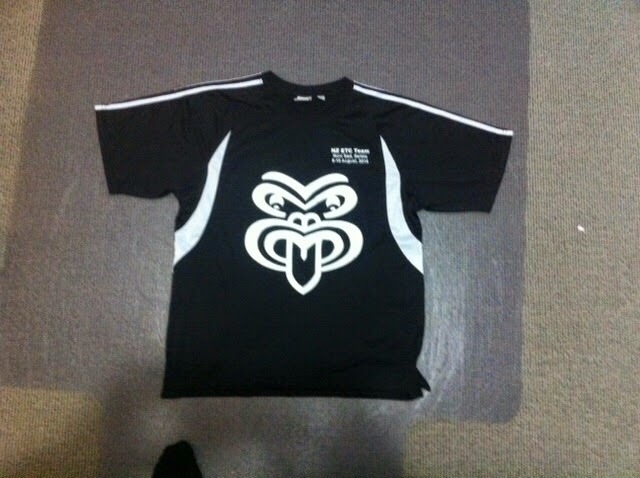 In big news today the NZ ETC team shirts arrived today. I'm pretty sure this is going to be a much sought after item, come the traditional shirt swapping sessions. Gone with the Tiki motif this year for shirts, dice and templates. 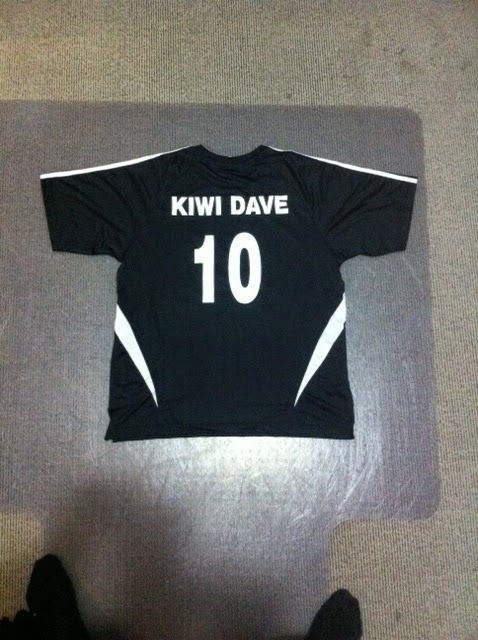 Names and international cap number on the back. In this case Dave Meachen. 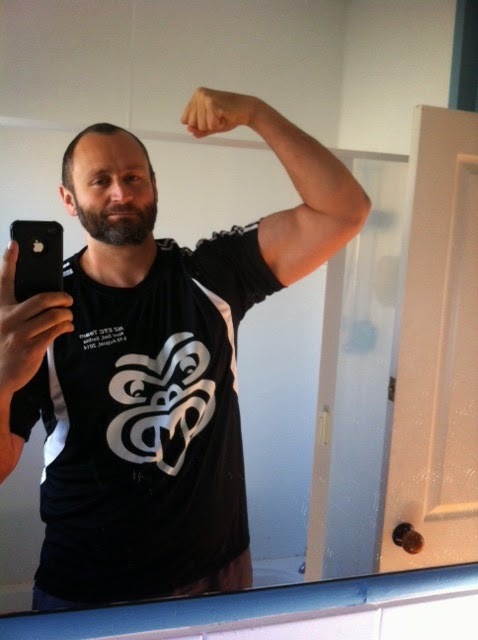 And below is our own heavy lifter Dan Butler modelling the exciting new uniform (and check out the guns). Hell yeah!! It'll be like the New York Yankees...to busy looking at the Pin stripes (tiki), not at the tactics! I've been prepp'in for ETC with handfuls of 10kg dice, although Rory's the main muscle, I'm just the beard that inspires him. Nice work Dan, getting psyched for this now! I've downloaded the words to Ka mate....if we podium it's going to be cracked out powhiri and all! Lack of haka training is the one thing holding this team back imo.